Obituary for Aaron Neal Wilson | Crouch Funeral Home, P.A. 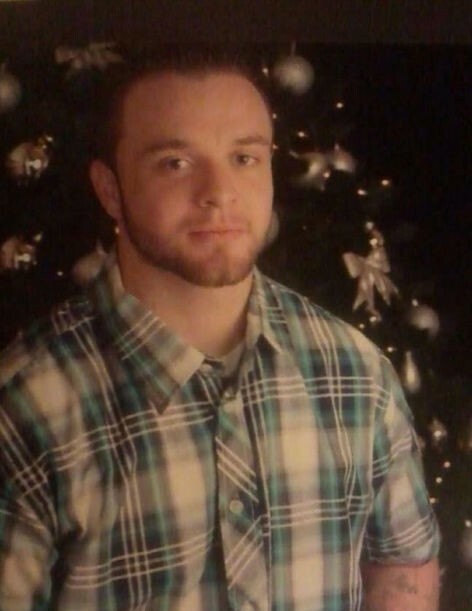 Aaron Neal Wilson, 29 of North East, MD, passed away after losing his long battle to addiction. He was born in Rosedale, MD on May 26, 1988. He is survived by his father and stepmother: Charles and Rebecca Wilson, North East, MD; his mother: Pamela Frye, Elkton, MD; 4 siblings: Nicole Wilson, Kyler Frye, Tyler Husfelt, all of Elkton, MD and Destiny Holbrook, North East, MD; his girlfriend of 5 years: Angee Ward, Elkton, MD; daughter: Chloe, 2 yrs old, Elkton, MD; son: Dominick, 8 yrs old, Kennett Square, PA; his grandparents: Don and Carol Frye, FL, Linda Holmes, Charlestown, MD; great grandfather: Philip Krausman, Lake Charles, LA; great grandmother: Stella Frye, FL; and his lifelong friend: Kris Bare. He was preceded in death by his grandparents: Ann Marie Wilson and Clifton Leon Wilson, Sr.
Aaron enjoyed fishing and hunting with his Dad as a teen. He loved his family and enjoyed being around them. Aaron wanted nothing more than to beat his addiction and live a sober, pain free life away from the horrible demons that haunted him. However, God knew that Aaron could not beat this addition and fight these demons and decided it was time to ease Aaron of his pain and take him home. Addiction does not discriminate. It will take hold and destroy anyone in its path, including the families and people who love them. Addiction hides in the faces of everyday people around us. Through organ donation, we hope Aaron can help the lives of others. In lieu of flowers, contributions may be made to: Monarch Recovery Ministries, 10 Valley Forge Drive, North East, MD 21901. www.monarchrecovery.org.